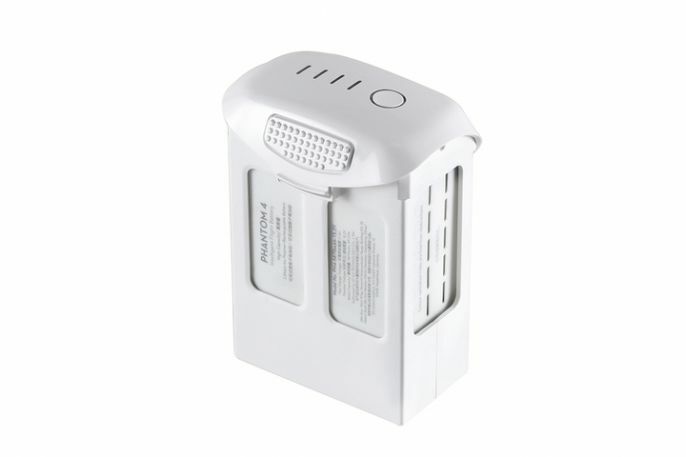 The DJI Phantom 4 Pro high capacity Intelligent Flight Battery is a 5870 mAh, 15.2v LiPo battery. The Phantom 4 Pro has a maximum flight time of 30 minutes, providing more time in the air to capture the perfect shot. This 4S Intelligent Flight LiPo Battery is compatible with Phantom 4, Phantom 4 Pro, Phantom 4 Pro+, and Phantom 4 Advanced.